Doctor Maria Domenica Sabatino is part of the equipe as well, with own experience in surgery and in medical clinic. 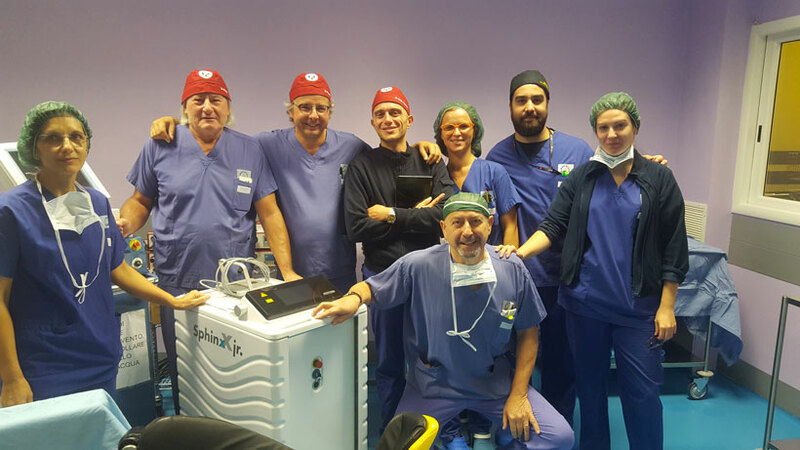 The medical staff at the centre can offer qualified information as to the most modern tecniques concerning the use of laser in urologic surgery rooms, since the medicians operate in more than one health care facility and have been gaining, over the years, knowledge and practice of the lasers on the market at present: Tullio Laser, KTP Laser and Holmium Laser. The urinary system involves an extensive series of pathologies that our team treats clinically through the use of the laser, ensuring maximum efficiency and very high precision during surgery. Location: Renal, ureteral, vescical and urethral. It is a chronic, debilitating, inflammatory disease of the bladder.